Actors of KBS, the country’s state-run television network, have launched a protest over the delayed payment for their work on drama programs. The union insists that KBS should take steps to solve the payment issue. But KBS says it does not have any direct responsibility because it already paid the production firms all production costs. The television network also argued that any mediation between subcontracted firms and actors is against the government’s policy. Veteran actor Lee Soon-jae said that this was a shameful incident. Other actors such as Song Jae-ho and Kim Young-chul are demanding that KBS protect the rights of actors. Meanwhile, actors were concerned about the potential problem of payment from the very beginning of production as the production firms in question reportedly had weak financial standing. None of the five companies had prior drama production experience. 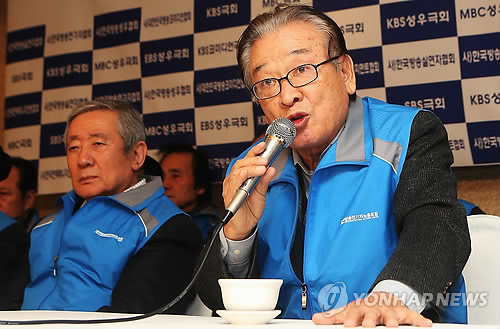 Another problem that was revealed recently is that some former KBS workers had connections with those subcontracted companies. 공영방송 KBS 소속 연기자들이 드라마 출연료 체납에 항의하는 시위를 벌였다. 이번 출연료 미지급 문제에는 지난 2009년부터 2010년 사이에서 다섯편의 드라마 시리즈를 제작한 외주업체가 연루되었으며 이 업체들을 통해 드라마에 출연했던 배우들이 급여를 지급받지 못하고 있다고 한국방송영화공연예술인노동조합(한예조)가 밝혔다. 미지급된 출연료는 총 13억원에 달하며 문제가 된 드라마에는 ‘도망자: 플랜 B’, ‘프레지던트’ 등 유명 작품들도 포함된 것으로 알려졌다. 한예조 측은 이번 출연료 미지급 문제와 관련 KBS가 발벗고 나서야 한다고 주장하고 있다. 그러나 KBS는 이미 외주업체에 제작비 전액을 지급했으므로 이번 사건에 직접적 책임이 없다고 밝혔다. 이어 KBS는 외주업체와 배우들 간의 중재에 직접 개입하는 것은 정부 정책지침에도 어긋난다고 밝혔다. 원로 연기자 이순재 씨는 이번 사건에 ‘수치스럽다’고 유감을 표했으며 송재호, 김영철 등 연기자들은 KBS 측이 연기자들의 권리를 보호해야 한다고 목소리를 높였다. 한편 연기자들은 이번에 문제가 된 외주업체들이 부실한 재정상태인 것으로 알려짐에 따라 애초에 제작 의뢰가 이루어진 것 자체가 문제 아니냐며 우려를 드러냈다.